We are proud to list our IPA members with links to their works that have been published on our sites. Those that grant media access will find it easy to vet any of our members and see their published works on our site. Any questions, feel free to contact us. Use our convenient Search below to find a member. Enter any search term you like to find results. You can also find out if a member is still active or if their membership has expired. Simply type in Expired to see all those that are no longer valid members of IPA. Just about anything in these records can be searched and found…give it a try. For security and confidentiality we do not publish our members contact information on our website. If you would like to contact one of our staff members for an assignment or other reason, please email us and we will forward your request to that member. Ready to help our members. To contact one of our Team Members, please use our Contact Us form. I am the founder of International Press Association and publisher of IMPress Magazine. I am an internationally published photographer and writer and have over 2 million views on my videos on YouTube and millions of views on my most popular articles. I personally cover many events and attractions in New York City. In addition I write about my travel and cruise experiences and each one has a video and photos. As president and editor-in-chief of IPA and IMPress, my duties are extensive. I love working and helping our members for these past 27 years and will continue to do so in the years to come. I have recently launched my newest website for those interested in travel, Travel Pavilion. This is a website showcasing my travel articles, photos and videos and also our travel agency business. Visit the site to discover exciting destinations and cruises and book with us too at low internet prices. I live in the french speaking part of Switzerland, near Lake Geneva. Apart from my main work as a software engineer, I try to work as a freelance photographer. I discovered photography over 15 years ago and it has become a passion. I love to cover many different events and hope you get a feeling of excitement for these events by viewing my photos and articles on this site and on IMPress. Andy Peeke has hosted and appeared in ESPN "Sports Century" and CMT "40 Hottest Country Music Stars". He has also appeared as a recurring host on Women's Entertainment "3 Men and a Chick Flick". Most recently, Andy has made appearances on Bravo's "Million Dollar Listing, New York", Comedy Central's "The Daily Show" and Emcee'd live music shows for Next Up Sessions (www.nextupsessions.com). He has also performed as a regular on the New York City Stand-Up Comedy Circuit. Andy regularly hosts & emcees live & recorded events nationally. Andy is our official correspondent covering many events in New York with our president Len Rapoport. 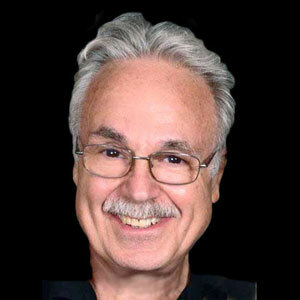 John is an award-winning photographer from the Baltimore/Washington DC area and has been in photography and photojournalism since the mid-1960s. The galleries here include selections from some of his travels in the United States as well as around the world. Ellen a writer-composer, artist and Internet marketer who lives in New York City. She is the author of two books, La Belle Famille, a novel, and Free Style Run of the Heart, a book of dramatic monologues with songs. Her books were published by The Pentland Press Ltd and Carnegie Publishing Ltd in England. As an IPA member for many years, she has now joined the IMPress staff to share her writing talents with our readers. In 1983 Marcel started his photographic career by concentrating on military aviation and providing images for international magazines and other print publications. In 2006 he shifted his attention to motorsports and his professional photography then specialized in action photography. Then in 2009 he once again expanded his work which included, providing motorsports consultancy, marketing, sponsor search, photography, journalism and automotive productions. I am passionate about covering industry events and creating programs and features relating to wine, gastronomy, leisure, culture, travel and tourism." As former Hollywood producer, director and videographer, I’ve lived and worked in Europe since 1990. I am the owner of communications company Media in English, based in The Netherlands and have Dutch citizenship. My 30+ years as a communicator and video maker, as well as my media training work at Media in English, has given me a unique understanding of the perspectives on both sides of the Atlantic. My work includes the production of many successful and award-winning television programs from Los Angeles, New York, London and Hilversum. I am the President/CEO of Goodland Academy in Hugo, Oklahoma since 1988. Served in the US Army from 1972-1978. Worked as a photographer with A-Photography Studio in Garland, Texas during the time I worked for Dallas County. I have designed and maintained over 60 websites since 1995, written and published a monthly newsletter since 1988 and produced numerous videos - commercials, music and educational. As a photojournalist my assignments have taken me around the globe. My images of the world help others discover the places and people I meet and have had the privilege to photograph. My photos are meant to tell a story of the people I meet in my travels and their lives. In addition to formal medical training and certification in The Netherlands, the Amsterdam Kliniek's founder Lydia S. Boeken MD has acquired extensive knowledge and experience in the fields of natural and environmental medicine. Dr. Boeken graduated from medical school in 1986 at the Free University in Amsterdam. Her early years were spent in pediatrics, cardiology, internal medicine and occupational medicine. She is currently working with IPA member Rudi Goldman in producing promotional videos. Born in 1975, he is both an electronic engineer and a professional photographer. During his studies in electronic engineering at Politecnico of Milano he also studied professional photography at Istituto Italiano di Fotografia, in Milan. His thesis as an electronic engineer was on CCD and CMOS sensors for photography. As an Engineer he is now a freelance electronic design engineer, working in automation and robotic fields. He’s also an energy manager and a fire safety specialist. As a photographer he worked for years with Giuseppe Pisacane in food and still life photography. He is also a photojournalist for many music magazines and webzines. He runs a photo studio in Milano with another photographer and videographer ( AEMME Studio – www.facebook.com/aemmesas ). He is also member of FLIP ( FreeLance International Press ) , AIRF ( Associazione Italiana Reporters Fotografi ) and TAU VISUAL ( Italian Association of Professional Photographers ). I have my own show on radio and offer sound tax advice. I also cover other topics and subject matter on my show. I am the co-founder of the Jennifer Diamond Cancer Foundation, named after my daughter who died of a rare form of cancer at the age of 30. The Jennifer Diamond Cancer Foundation is dedicated to helping people win the fight against cancer. We are focused on empowering people with knowledge, as well as supporting research and healing programs that provide the tools to help treat the mind and body as one. I am responsible for much of the content and articles in our newsletters and I will be writing about a broad range of topics for IPA as well as our foundation. I am the founder of the Jennifer Diamond Cancer Foundation, named after my daughter who died of a rare form of cancer at the age of 30. The Jennifer Diamond Cancer Foundation is dedicated to helping people win the fight against cancer. I am responsible for the entire operation of our foundation. I am also a photographer and videographer and produce special video projects about our organization and our goals. My name is Patrizia Saolini and I am a corporate consultant specializing in strategies for image, personal development, and Corporate Coaching. A photojournalist covering many events in the New York area including trade and consumer shows at the Javits Convention Center with IPA President Len Rapoport. I have been an avid photographer and videographer since my childhood. I began shooting internationally when I was a teenager. I am actively involved locally and internationally and currently traveling/working with non-profits and NGO’s documenting outreach events and social work in 5 nations. Based in Redlands California, my work is utilized by a national television program designed to communicate relevant trends to an international audience. I am a writer, member of International Press Association. I graduated with an LLM law degree from the University of Bedfordshire in the UK and continue to write for different publications on various topics. Writing is my passion and you are invited to view my articles on my personal website. I have been a photojournalist for the past 15 years. Working with my dad Len Rapoport founder of IPA offered me the opportunity to not only learn by doing projects with him, but a way to better my skills on other assignments. I have assisted my father on many assignments including parades, trade and consumer shows and some travel assignments. You can see some of the articles and assignments I have covered on the IMPress website. Award winning photographer and physician specializing in hematology and pathology. Expert in microscopical photography and a member of the Brazilian Assoc. of Photographic Arts. He has spent 50 years taking stunning exposures of different themes and events,including extensive images from his travels through Brazil, Carnival in Rio de Janeiro, Pantanal, in Mato Grosso do Sul, historic cities in Minas Gerais and his travels through Russia and East Europe, France, Italy, many cities in the US, the Transoceanic Highway – Brazil, Bolivia and Peru – and Chile, amongst many others. He has won two other awards at the Annual Contest of Photography of the Regional Medical Council of Rio de Janeiro and continues to add to his extraordinary works as a member of the International Press Assoc. Owner/operator of a web design studio running with WordPress sites at : Juvare Studios. For 30 years I have traveled to over 120 nations as a freelance videographer and photographer. I have worked with people of all cultures and participated in youth rallies and leadership conferences in the US and abroad. My television program is produced in 17 language and and airs on over 1000 stations around the world. Journalist and correspondent covering news and events in Israel. Born in Germany, to a German Italian mother and a French American father I traveled the world from an early childhood on. I became a Journalist in 1987 and have been writing for several European Newspapers ever since. Avis has been a photographer for over 10 years, shooting dance performances concerts, cabaret shows and more. She also shoots promotional videos and publicity shots for vendors at trade shows. My assignment is to help them promote their products and brands. Aziz is a journalist covering breaking news and events in the middle east. I am an enthusiastic photographer and cinemaphotographer please see below links. I am about to create a documentary about the Pergrine Falcon on the East coast of England. Founder and CEO of MedShr, Asif Qasim is a consultant cardiologist and NHS Clinical Director based in London, England. He has over 10 years in online social media, and after successfully launching a case discussion network for cardiologists, he is now leading the MedShr team to build this global, multi-specialty network for doctors. Partnership Director at MedShr is a private, professional network for clinical case discussion and peer-to-peer learning. Micheline Tanios created CIMA USA LLC in 2015 to start the conversation about the current state of media. Over 20 years of experience in journalism, media analysis, and strategic communications. Has worked with the public and private sectors as well as international organizations. As a multilingual cultural advisor, her work has been seen in long-standing media outlets internationally and recognized for the highest standards of journalism and integrity. Micheline manages an international network of foreign journalists and stringers and provides business intelligence investigation reports on foreign partners and business markets. As a journalist, she has interviewed heads of state, a convicted terrorist, and dozens of experts on terrorism and the Middle East. I am a semi-retired photographer and Purple Heart Viet Nam Vet. My job in Nam was a tracker dog handler which gave me an opportunity to begin my photographic career. Over the years I have photographed many travel destinations, portraits and many trade and consumer shows. My passion now is photographing some of the exciting vehicles now being shown at the many auto shows around the country. I have 18 years work experience in the import export business and travel extensively to many countries for my work. I am a certified international press photographer living in Norway, have been a photographer for over 10 years making it a profession. I have photographed college, high school sports (football, basketball, volleyball, baseball, softball, cheer, and soccer) and other important events such as plays and concerts. I spend time in the community which lends itself to capturing news worthy moments. My studio primarily focuses on seniors and families. Disabled vet with a camera and a pad linking dogs, owners and activities in Florida forever lives. An Emmy Award-winning cinematographer specializing in sports camera operations for over a decade. Vechesky has worked consistently with all the giants of the TV-Sports industry: NFL Films, NBA Entertainment, MLB Productions, ESPN, ABC, NBC, CBS, FOX etc. shooting multiple top-level events such as MLB World Series, NBA Championships, NHL Stanley Cup and the NFL Super Bowl. A Director of Photography, Vechesky has DP'd multiple commercial spots, corporate videos, and both documentary and dramatic indie films such as: Cellar, Heart of Gold, The Palestra and more. Vechesky also has worked with many music industry artists of note on various concert and music videos such as: Aerosmith, Sammy Hagar, Paul Simon, Styx, Patti Labelle, Blues Traveller & more. Originally a photo-journalist, Vechesky is still a part-time member of the International Press Association and continues to enjoy working on photo projects & stories for various periodicals and websites. Sora is a blogger, photographer and Weight Loss Coach. She has an extensive portfolio of her work on her website "A New Yorkers Point of View". Political Coverage of President Obama Campaign Coverage in Kissimmee. Hercules’s series, The Six Million Dollar Man Many more with major Hollywood Studios such as AIP, Orion, Samuel Goldwyn, Avco Embassy Pictures, Inter-Ocean Film, Carolco Pictures, Cannon Pictures, Viacom, Warner Brothers, MGM, Paramount and Universal Studios. Free lance journalist with Rossiya Segodnya since 2014. Currently reporting from Syria. Journalist, Reporter and Columnist, Professor of the courses of Psychology, Law and Pathology. Researcher and writer with several books and published articles. Member of the Brazilian Association of Journalists. Writing weekly for the Folha Noroeste Newspaper since 2001. Graduated in Law, Master of Science in Religion Sciences, PhD in Clinical Psychology and Postdoctoral Degree in Psychopedagogy.